Over the years, my wife and I have had many home purchases and sales. We have had a cornucopia of seller and/or buyer's real estate agents assist us in navigating the home purchase mazes we have encountered. Then we met Todd Ostrander, and after counseling with him and discussing our home sale's goals, we asked Todd to represent us. It is one of the wisest business decisions I have ever made! Selling your home can be an exercise in emotional torture. You often feel left in the dark during the process and too frequently, you are adrift wondering if more should be done to affect the sale of one's home, or did you get the best price when the deal is finally done. That was never the case with Todd. Todd kept us informed, motivated, and encouraged through EVERY step of the sales process. He was professional and supportive. Of all the assets Todd brings in his toolkit, are his INTEGRITY and HONESTY. Those are the two things that impressed me most about him. 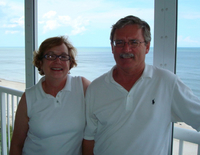 My wife and I are local Christian Pastors, lecturers, and published authors. We believe that our reputation is on the line with each person that we choose to represent us in any endeavor. Our reputations, and our best interests were always represented with honest integrity by Todd, and he always exhibited a rare quality of character towards us throughout our professional dealings with him. Frankly, we rarely see in the world these days the kind of class, education, experience, and genuine caring for clients that Todd always exhibited in our regard. Todd is energetic, well respected, and highly motivated to exceed his client's expectations. In our opinion, the ONLY wise and prudent choice of a real estate professional to represent anyone, is Mr. Todd Ostrander! In the end, Todd sold our home for a record price, to a cash buyer, with a super uneventful closing. I would have expected nothing less from Todd. Neither should you. "We've known Todd for many years. He's worked with us and with other family members as well. He's highly energetic and proactive. We just sold our home and purchased another, both with Todd. He helped us sell in under a week! It put the pressure on to find another home quickly. What we needed was just not coming available and we thought we were going to be stuck renting. He worked with other realtors to find us exactly what we needed, just in the nick of time. In just a few days, he was able to coordinate using the same lender, title company, home inspector and even termite inspector for both transactions. 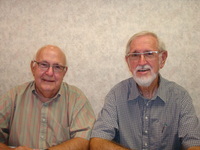 With their coordinated help, we were able to do both closings back to back on the same day. Through both transactions, Todd was very responsive, helpful and kept us informed at every turn. THANKS for everything TODD!!" 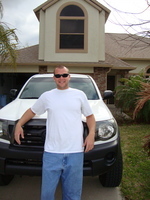 "Todd worked tirelessly throughout our entire buying process! He is a one of a kind realtor and you will never find anyone that will out work him! We were first time home buyers and Todd took the time to teach and guide us through the whole process! Thank you so much Todd! You're the man!" " Todd. Very dedicated. Knowledgeable. Worked very hard for us and met our expectations. We will always be telling our friends and family about Todd. He will always have a Big smile for you." 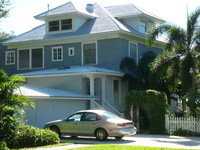 After much consideration we decided to upgrade to a three bedroom condo here in the Indian Harbour Beach area. We were only going to be here for a week or so, so we knew who to call. 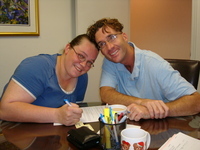 Todd sold us our first condo and we also referred him to our parents when they purchased. Both those closings went perfectly, so if we were going to get what we wanted, we knew we could get Todd to find it for us. Within days we found our dream condo. He knew we wanted to close as soon as possible and made sure everyone involved would make that happen..... Within two weeks of the offer, we were moving in. It truly was the smoothest closing ever. If you want a FANTASTIC PRICE in the SHORTEST TIME--with few if any changes--we recommend you retain Todd Ostrander as your realtor. 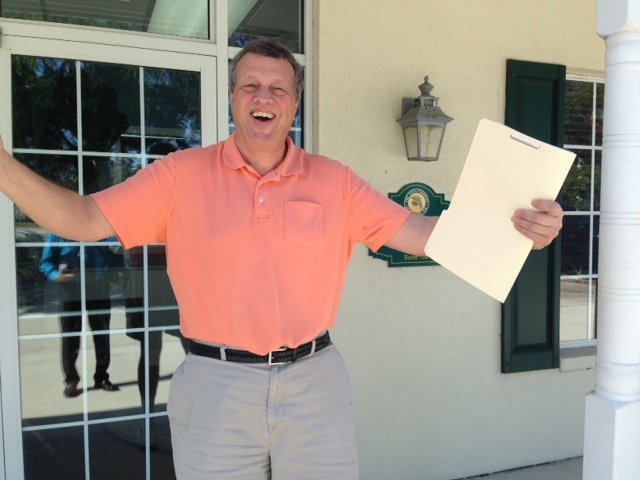 Todd is an outstanding RESULTS GETTER for his clients, and makes his client's lives easier!! For sellers, you will be amazed how Todd achieves maximum prices--higher than other realtors can achieve--and quickly, Todd is uniquely skilled and very creative in OVERCOMING OBJECTIONS of prospective buyers! He does not require clients to make changes to their houses. For buyers, Todd is a super negotiator, with a very gentle manner. 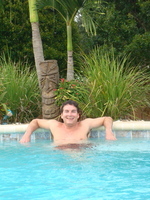 He is honest and can achieve a lower purchase price than other realtors, due to his personal and professional skills. Once you retain Todd, he becomes a member of your family. He is kind, considerate and most respectful of all members of his clients' family He works hard to achieve what is best for his clients--and he works fast! You will find Todd responsive to client requests and he never panics. Todd is always oriented to getting the best RESULTS for his clients. You can count on him to be good for his word! Please retain Todd. You will be blessed and overwhelmed at how easy Todd makes the process for his clients--and the results he delivers! When we decided to sell our home and buy a new one, we didn't even have to think about which agent we would use. Todd had helped my parents sell and buy their homes - and were so pleased with the service and attention he gave them - we were sold on Todd too. We can't say enough positive things about the way Todd handled our transactions. His attention to detail and communication skills far exceeded our expectations. 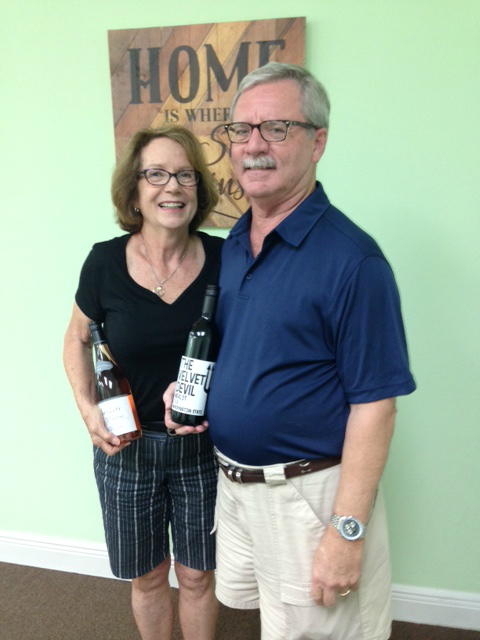 He worked tierlessly to find us the right buyer for the home we were selling and found the perfect match for us with our new purchase. 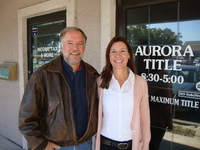 We had a great experience working with Todd for both the sale of our old home and purchase of our new one. We chose Todd after doing much research on many local agents. From the moment we contacted Todd, we always felt that we were a high priority for him. 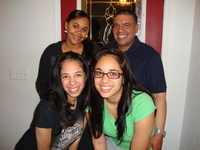 He gave us the benefit of his years of experience and guided us through the process of getting our house on the market. With the high-quality photos taken by his photographer and the virtual tour, we had a buyer within 9 days! Our sale and purchase were 2 days apart, and Todd took care of a lot of the details. We never had to wait more than a few minutes to hear back from him no matter day or night. 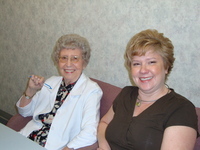 He provided us names of well-respected resources, which allowed us to move very quickly but not feel too overwhelmed. After failing to receive any contracts after seven months listing with another realtor--and after several substantial reductions in our listing price aggregating some 10%--we decided to change realtors. We identified and interviewed six Brevard realtor candidates with outstanding performance records. Only one stood out--TODD OSTRANDER. Amazingly, within five weeks of listing, Todd delivered TWO contracts and we accepted the highest all-cash , 97.6% of the listed price offer, "as is"
Todd arranged with the buyer for us to remain in the house for two months so our children could finish school before moving! Not only did Todd get the RESULTS we needed, he was very easy to work with always encouraging, always professional and thorough. He spent considerable time negotiating and motivating realtors and potential buyers--helping overcome objections such as a 21 year old air conditioner. Clearly, Todd is a SUPER REALTOR!! We highly recommend and endorse Todd Ostrander. I'm very happy I choose Todd as my agent to sell my home. No other agent can compare to him. He worked so hard to get me the best sale price for my duplex. He is very experienced, professional and dedicated to his customers. 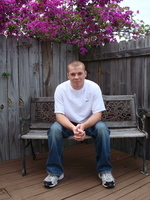 He kept me informed of every new event and was always available and easy to contact for any questions I had. He has a wonderful personality and easy to work with. 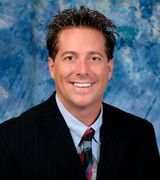 I highly recommend Todd to everyone buying or selling their home, because he definitely is the BEST agent in Brevard county! We were first time homebuyers and didn't know what to expect. We called Todd up and things began. He asked us what we were looking for, had us fill out a short survey, and sent us listings. After only a few days we found a house online that we were excited about so we asked Todd to setup a showing. Within the hour Todd had an appointment setup. We really loved the house but were hesitant because it was the first house we had looked at in person (though we had looked at hundreds online). Todd recognized that the house was a great deal and met all of our criteria. He encouraged us to make an offer and walked us through the whole process. Todd always had our best interests in mind and helped us negotiate getting a new roof installed prior to closing. The whole process went very smoothly and as they say, the rest is history. We're now happy homeowners! Todd was extremely responsive which was very important to us in a Realtor. He was always available via email, phone or text when we had questions. 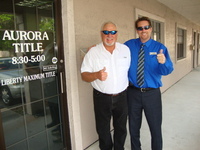 He guided us through the process and made suggestions for inspectors, title company, lenders, etc. but was open to us choosing whoever we felt comfortable with. Todd has a great personality and he was a lot of fun to work with. Todd was recommended to us by Lindsey's parents and we would recommend him to you. It was a pleasure to work with such a great realtor! Todd does it all ... perfectly! His communication is 24/7, and always within a few minutes of being contacted. He remembers the little details that everyone else forgets. He is so proactive that all I had to do was the paperwork with my bank... he handled all the other stuff that I would normally have worried about with any other realtor... but we teamed up such that he did his job, and I did mine, and the TRUST that we had with and for each other made this the EASIEST and BEST home purchase ever. I would trust no one more than Todd. I met Todd through a request on the advice boards about finding a buyer's agent. From the outset, he was great, and managed to roll with changes as my husband and I prepared to move a thousand miles from NY to FL. Our decision about the type of home we wanted and locations morphed with time, and he rolled with all of it with grace and good cheer. We were probably annoying clients, to be honest, but you'd never know it from seeing Todd -- he always maintained a truly upbeat manner. Todd kept in touch constantly, always kept me apprised of what was happening at all stages, provided useful and knowledgeable advice, and really, was just a great, positive person overall. We were living in a condo but after having our first child we realized we needed a big house with a nice back yard. Unfortunately, we already owned a piece of land and our condo but needed to sell both of them before we were able to purchase a house. That's where Todd came in! Sounds like a good deal for a Real Estate Agent but in today's economy it turned out to be a taller order than expected. He warned us it would not be easy, but said he would do everything in his power to make it happen for us. After two years of hard work, Todd was able to finally make our dreams come true. We were very fortunate to have such a responsive and hard working Real Estate agent that stuck with us until our plan was complete! Todd was professional in every way. 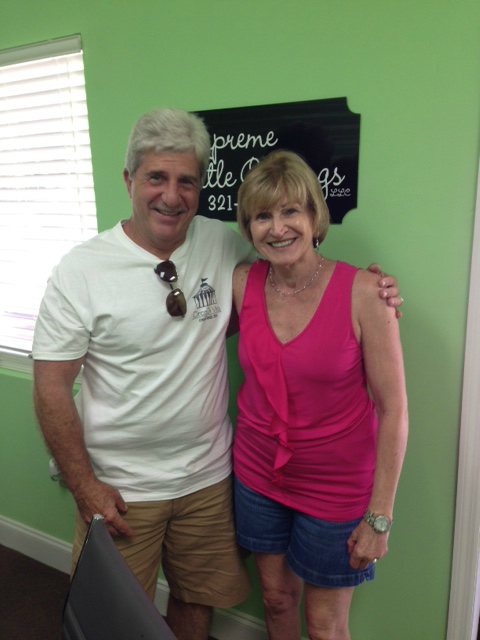 His diligence in the process delivered an extraordinarily quick sale...less than 2 weeks! 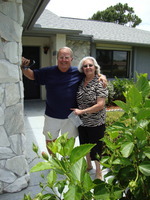 His swiftness in getting our home to the market brought immediate activity and interest resulting in the expedient sale. Working with Todd Ostrander is nothing short of amazing. When I decided to sell my house I interviewed several agents and was not impressed. I wanted someone who would be committed to selling my house, and someone who would communicate with me every step of the way. Todd did all of that & more. He sold my house in less than 45 days & for 98% of my asking price. He is top 1% of agents for a reason - RESULTS! He did such a great job selling my house I decided to work with him on buying a house. He really cared about my needs, and showed me only homes that fit the description of what I wanted. He actually represented both sides on my transaction and did a great job negotiating between me and his seller. 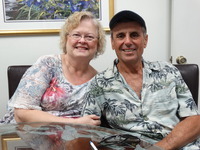 We just wanted to send you a note to let you know that we really appreciate what you have done for us in helping us transition from the “dream home” we built in 2012 to a downsized retirement option that better meets our needs. This was destined to be a difficult change for us but your Real Estate expertise was just what we needed to make this process go smoothly. Since we are both repeat customers as well as good friends you were automatically our “go to” guy for this phase of our life. Within days after signing our listing contract, we had an offer from the first family that saw our house. Their offer was very close to our asking price so we happily accepted it. As we started our search for a replacement home, it was clear that you knew exactly what we were looking for in our new home. You listened to us and knew all of the special features our next home had to have! 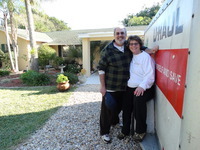 It was the only house we saw that minimized the challenge of moving from our dream home to our downsized retirement home! This home is really a great find with its upgrades, pool and lakefront all in a gated community in a beautiful neighborhood! So we made a good offer and it was accepted! We were impressed that both of the contracts had absolutely no need for negotiations. We are convinced this was possible because of you have the Real Estate network and savvy to talk to other agents and make it happen! Because your network of professionals extended to recommendations for loan companies, title agents, inspection services, and service industry pros to help remodel and repair, you made it possible for us to complete the entire transaction and a door-to-door move all within two months (listing, selling offer, purchased offer, loan approval, inspections, closing and move). "Wow! Todd did an excellent job selling our house! He has tremendous energy, which is a real benefit to a buyer or seller. 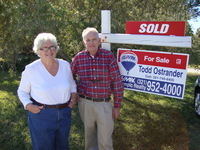 Todd made sure we had a great marketing plan for selling the house in a short time for a very fair price. We had our first offer 2 days after we placed the house on the market but Todd used his experience & insight to see that deal was likely to fall apart....and it did! Thank goodness he made sure we had back up plans in place to sell the house to someone else. We ended up getting a couple more offers but Todd's buyer had the best deal so we decided to sell it to him. Todd represented both sides perfectly! He kept us in the loop with daily e-mails and text messages from the time we listed until the time we closed. Everything went perfectly! Todd did a great job getting a professional photographer to shoot our house. The resulting MLS pictures and virtual tour were stunning, and the MLS wording was spot on. We contacted Todd on a very positive referral from a family member. From our first meeting it was easy to see that Todd was a very positive, hard-working individual. I knew immediately that he would be the best realtor to help my mom sell her home. She was quite nervous about the whole process, and Todd was very reassuring the entire time. Todd does an excellent job with pictures and describing your home online, that bring out the absolute best in your house. The presentation online truly is amazing. We had an offer within 10 days that was more than we thought we would get!! I know it was because of all of Todd's hard work and experience with getting awesome pictures out online to as many potential home buyers as possible. 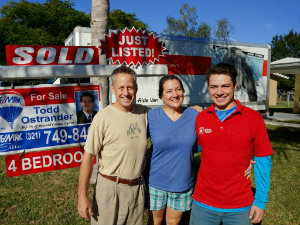 We really enjoyed working with Todd when we were searching for our new home. 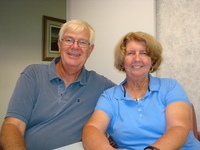 He helped familiarize us with the area and was always committed to finding us the best home for our needs. No matter what time, morning or evening, Todd would respond to any questions within seconds. If we needed to see a property last minute, Todd could always make it happen. We're pretty sure he never sleeps!! My wife and I were moving overseas and had a short period of time to sell our house. Todd brought the buyers to our home and worked both sides diligently to get the closing process completed quickly and effortlessly. One of the things you will find with some real-estate agents, is they work 9-5. With Todd, we were talking, texting, and emailing constantly from morning to night. Todd was always on top of everyone's actions and deliverables, and made the deal happen. Thanks Todd!!! Todd is a real “GO GETTER”. 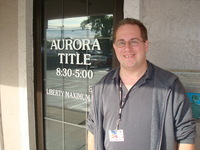 From the time the “For Sale” sign went up to the closing, Todd was optimistic, actively engaged and on top of his game! He kept me up to date as to what was happening in regard to showings, potential buyers, tips on “seller points” and explained technicalities that I didn’t understand. If I needed him, all I had to do was to call him. He always got back to me in a timely manner. His knowledge of the market and the art of the sale is impressive. I didn’t have to worry about anything but be ready for showings. He took care of EVERYTHING! Todd really cares about his clients, it is self evident in his demeanor and the things he does for them. I would recommend him to everyone who is in need of a real estate agent. If I should ever need him again, I would not hesitate to call him! Todd was fabulous to work with. Selling this house was not an easy task for him or for us. We live in Colorado - so communication was key for this sale. 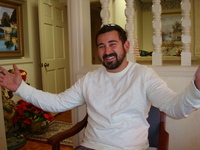 Todd was great, he kept in constant communication with us at all times, whether by phone, email or text. He is very detailed and thorough with everything he did from our first conversation when I was looking for a realtor to the final docs he sent after we closed. Todd was great with helping us to make our house look market ready from a far. He has contacts in the area for everything we needed from painters to cleaners. The pictures he used to market our house were great and he used all of the major real estate sites as well as social media to get our listing out to as many people as possible. All of the tools he had to show us how many people were looking at our property, from which websites and if they were clicking through the pictures was great. We always knew what was going on with our house at all times. Each time we had a showing, he would let us know the feedback and we discussed what people were saying about our house. 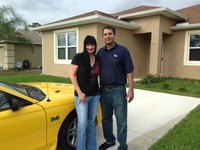 When we got our offer, Todd did great at negotiating the deal for us and working with the buyer. Once we were under contract, we closed in about 2 weeks! All of the paperwork and processes needed to close went super smooth! This was a great experience and I would recommend Todd in a heart beat!! 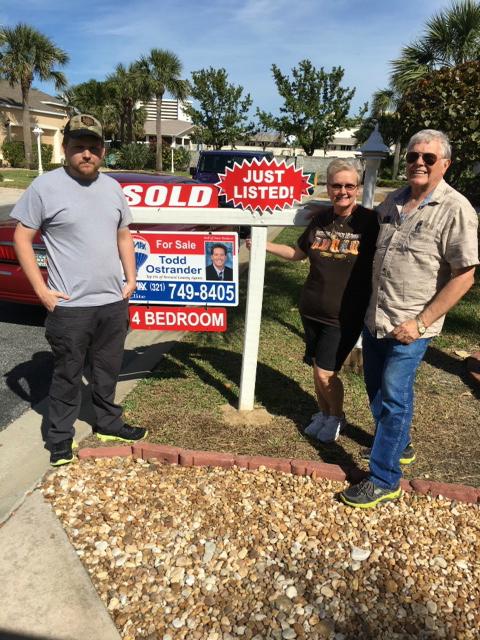 To those thinking of selling or buying property here in Brevard Florida, your first and only priority should be to hire Todd Ostrander for the job! I had my home for sale over three years and many other agents, but no one, I mean no one focused on selling my home the way Todd did! From his exquisite web listing on my property, to the awesome pictures/video he took, he's dedication to selling was very apparent! It only took him a month and a half to sell my home! 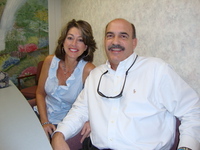 His web site says top 1% of all agents in Brevard, and now I truly believe that! After much research we decided to use Todd as our buyers agent even though our search was a bit outside of his normal operating area. He was very upfront about this but we were sure that our choice to have Todd represent us was the right one. He worked hard to put together a list of properties for us to see and he was very patient and helpful as we sorted through them until we found the right one. It was then that his knowledge, experience and work ethic brought all of it together. Dealing with our tight schedule he managed to get us the many documents needed for our review and used his connections to have the home inspection done before we had to return home. The result was a closing 21 days after viewing the property. 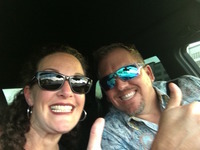 In an area saturated with Realtors, Todd Ostrander is a unique individual that possesses patience, perseverance, consideration, generosity and a boisterous personality that allows him to focus yet think outside the box in order to get deals together for his clients. These qualities combined to meet and exceed our expectations both during and after the closing of our Golf Course/River View Melbourne Beach Land purchase. I am now convinced after my experience that one of the important factors in selling a home is the “right” agent and I believe Todd is the best! Professional, pleasant, and extremely helpful. I felt from the start we were in good hands with Todd. A great quality of his was not over reacting to any given situation. We had some major ups and downs with people and through it all Todd was always working on a back up plan. Here I was again about to make the biggest purchase of my lifetime; this was to be the fourth time I was going to buy a home and I wanted it to be the last, at least for many years to come. With this in mind, my new house had to have exactly what I wanted for the exact price that I wanted and I was not going to be flexible. This is where Todd came in to play, I wanted a realtor who was going to be highly motivated, extremely knowledgeable in his expertise, superior negotiating skills and most of all honest. Todd has all of these attributes and more! I cannot say enough about Todd. He was always there for me when I needed him and I mean around the clock! He is very professional and his motivation is second to none. He was there for every step of the purchase: showings, inspections, walk through & finally closing. The purchase process had some pretty big wrinkles, and it is because of his negotiating skills and his attention to detail that my family and I now live in the house of our dreams. I knew that he was on my side and that he actually cared about what my needs were. I would recommend Todd to anyone! Todd was an amazing realtor! He was always there when we had a question. He was always on top of things that needed to get done. We thought buying a house was going to be difficult but Todd made it a very easy process. Once again, Todd has exceeded my wildest dreams: his enthusiasm, energy, and tenacity allowed me to purchase a house I fell in love with at first sight. It would never have been possible without Todd’s guidance and his constant attention to the details. Then he turned around and quickly managed to sell my current house at a good price and closed the deal in what seemed like record time. 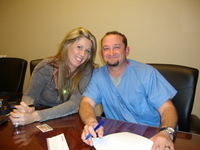 With expertise and grace, Todd smoothed over what could have been a very scary process. He accomplished the purchase and the sale beautifully, and I will be eternally grateful to him. He is the most responsive real estate agent I’ve ever worked with, as a buyer or a seller. Todd was my first choice when I decided to sell my house – he had accomplished the same feat 5-1/2 years prior when he helped me find the house of my dreams in Indialantic, and then managed to sell my other house in the very, very difficult 2008 real estate market. He is extremely reliable and professional, yet also creative and confident. Todd makes things happen! Just my transactions alone...he has made 4 families extremely happy! There is no one I would recommend more highly, whether you are selling or buying then Todd. 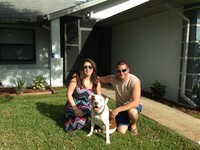 Todd didn't help us find our new house, he helped us find our NEW HOME! It was such a great experience...walking us through in detail step-by-step on how the closing process was to go. He gave us pros and cons of every listing, especially the areas that we weren't familiar with, he paid very close attention to detail, but mostly he let us make our own decision based on our needs. After the entire process it was almost like Todd was a family friend as opposed to just the Realtor. It was such a pleasure to work with someone as knowledgeable, detail oriented, organized, and most importantly personable as Todd. The sale of this property is bittersweet. 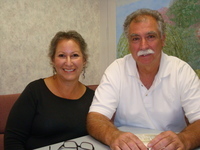 Kris and I would like to thank you for your diligent work in selling all of our properties in Melbourne Beach. We are certainly glad that we took a chance with The Melbourne Beach's Realtor Newbie several years ago when you began your journey to stardom. Your work ethics and determination to be not only successful, but the best in your chosen field certainly helped you reach your goal. The process began when you entered our home and sat down to discuss a game plan. It continued with the extensive number of pictures you took (including the ones from a small aircraft and the top of a 16' ladder). If we were looking to purchase something rather than sell we would almost have purchased our own property back due to the wonderful marketing job you did. I will miss all of the post midnight e-mail chats that went on between the two of us. You never slowed and always managed to give us the motivational speech that was needed to keep everything in perspective. We think of you as a friend rather than a realtor. We gave you the chance to begin your new career and you ran with the ball. We would like to think that our little conversations helped you feel that you made the correct decision about giving up your former profession and moving on to bigger and better things. At this point in time we are divested of all of our properties in Melbourne Beach. We no longer have a need for a realtor, but can always use a friend. If there is anything that we can do for you, please do not hesitate to ask. Let us keep in touch. We never like to lose contact with truly humane and honest individuals. There are not enough words to describe how great Todd is. 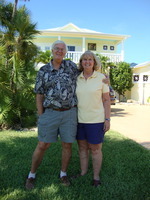 My husband and I had been looking for a vacation home for a long time. Being from out-of-state we had very little time and many questions. 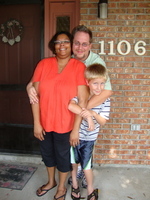 Todd helped us sell our home and purchase a new home which meets our current life situation. When my wife and I first began to think about the need to downsize from our large pool home near the beach we contacted Todd to discuss the market and how we should prepare to sell. We procrastinated over the decision, but Todd never lost patience with us. 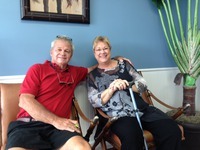 We found him to be very knowledgeable and frank in discussing the pricing for our home. He inquired about our plans to find a smaller home and suggested that we might find a buyer who would allow us to lease back the home for a short period to allow us to find a new residence and avoid moving twice. 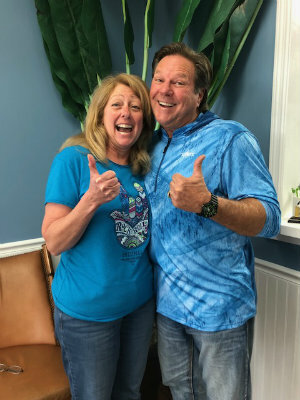 To make a long story short, our home was only on the market for a couple of weeks and Todd negotiated a cash deal that allowed us to lease long enough that we were able to find a home and minimize the moving trauma. Todd then worked with us to find a new home. He provided us with background information on communities and allowed us access to the listings of homes meeting our location and price constraints. We were delighted to find a home that my wife fell in love with. 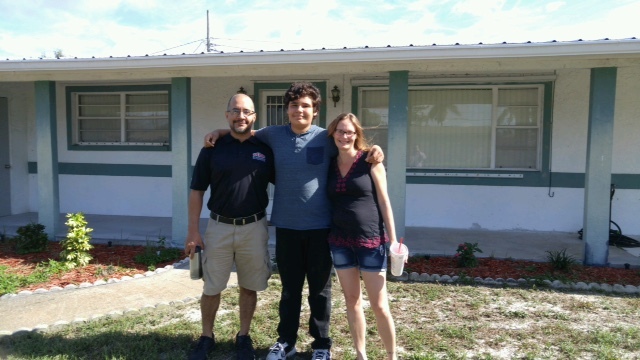 Todd was very helpful in providing compatibles in the neighborhood that allowed us to assess the value of the home. Todd Ostrander is the most dedicated, caring, devoted and persistent agent I could have ever chosen to sell my hard-to-sell house. He is extremely knowledgeable and finessed with his marketing strategies. He went the extra mile for me with his marketing and advertising strategies to help bring in an offer. Through his diligent persistence, and from doing everything including a 3 day open house, he finally found me a buyer who adores the house as much as I did. Todd Ostrander is the best Real Estate agent!! Charlie & I are in our dream home because of Todd and he deserves a halo for putting up with two fussy clients. 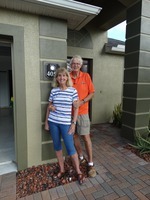 We were snowbirds who wanted to make Florida out permanent home. We had a huge list of "must haves" & Todd listened to all our wants and needs being very patient & enthusiastic. He was ver persistent in finding us a home that satisfied our needs and made us happy. We saw several homes that we thought might do….Todd kept telling us we would know when we saw the right house. 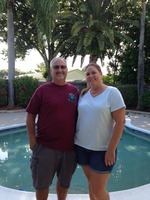 Sure enough, when we walked into our home in Indian harbor Beach we both said "WOW" ….Todd was right. Todd gave us excellent advise on locations & structure of homes. He guided us through the very complicated short sale process educating us along the way through the closing process. 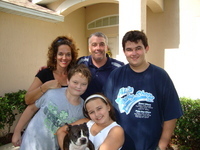 He supped us with contact numbers for utilities & other service personal to make our move in very smooth. In addition to finding a home for us, Todd was able to sell our condo in Indialantic within 2 months and got a good price for it too! Todd is an all around terrific Real Estate agent. He knows the market for both buyer and seller. He is forthright, reliable and professional. 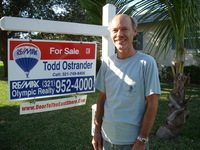 It is out pleasure to recommend Todd Ostrander to anyone interested in buying or selling a home. 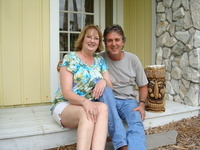 We began working with Todd over a year before we bought our house while living in Virginia. 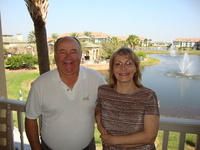 He set up a cart for us to constantly view all new listings in our area of interest and that met our criteria. 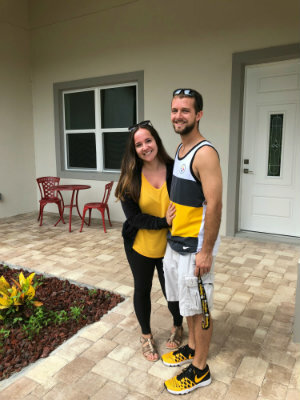 Each time we came down to Florida, he met with us at our convenience and showed us all the houses we chose to look at as well as making recommendations for others. His knowledge, expertise and energy were phenomenal throughout the entire process. 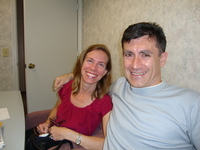 He also made recommendations for all kinds of things to help make our move and transition to a new area a smooth one. We would highly recommend Todd for any real estate transaction and all the service people he recommended throughout the entire process. 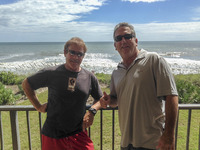 Todd was our agent to sell our oceanfront Condo and also to buy our new home about 4 miles away. 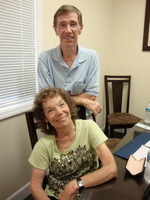 We closed on the Condo in about 7 months, about as expected for FL, and at about fair market. Todd negotiated quite well on our behalf. 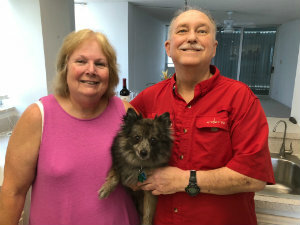 Of special importance, Todd really took charge and helped us find our new home quickly, less than a month, so that we could move directly from the Condo to the new home without storing our stuff. We could not agree with a seller on our first contract, but the second one where he worked as a transaction agent between his seller and us worked out great. We are delighted with the switch from Condo living to a home with 4 walls again, and Todd gets a lot of credit for making this major life change go pretty smoothly. Who would have thought I would need you so soon after the sale of my home last year. Anyway, I came back to the Realtor who I knew will do his very best for me again and of course, you did! Plus, you helped us find the perfect home for our family. I've enjoyed working with you again. As usual, you did an excellent job and we couldn't be happier! We decided it was time to downsize our housing needs due to becoming empty nesters and our getting closer and closer to retirement. Unfortunately, it was during a buyer’s market, not a seller’s market. Todd worked very hard to generate interest in our home. This started with getting just the right camera shots of our home to bring out its “best features”. 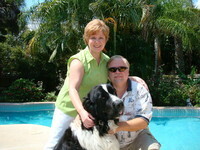 Todd continuously marketed our home to other real estate agents, resulting in more showings. After the showing, Todd worked with the other agents to obtain buyer feedback. Todd shared the comments received with us, helping us better understand what it would take to keep foot traffic present and get closer to a “deal-on-the table”. When we received a cash offer, Todd worked very close with us to take this to a final deal. We never felt that we were not being helped by Todd, throughout the process. I used other agents to sell homes before, but never felt any of these agents were there for us like Todd. Todd’s involvement with us did not end with selling our home. He continuously worked with us on obtaining a lease arrangement with the buyer of our home allowing us to stay one month beyond closing. He successfully protected our interests further by suggesting a one-year warranty be purchased. This helped solidify the deal. Being able to stay in our home for one month after closing helped reduce the stress of clearing our home before closing and finding either storage or a rental home. As it worked out, we were able to close on another home the same day as we closed on the house we sold. The one month allowed us to take our time moving and even have some work done in the new home. When the month’s lease ended, we had a walk through inspection with the new owners. 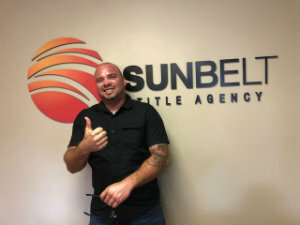 Todd was right there supporting us during the inspection and made sure the documents were all signed and submitted so we received our full deposit quickly. 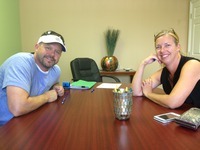 Todd was also our buyers agent for finding and ultimately purchasing a new home. He made sure we had all the facts so we could make a sensible and reasonable offer to the seller. Todd worked closely with the listing agent so that the offer was fully understood and could be discussed with the seller. This helped us to get the new home for a lower price than the market was demanding. One thing that was very apparent....Todd’s camera shots (of the home we sold) showing its “best features” was 100% better than what we found other agents doing for their sellers. We’re sure this helped bring potential buyers to our home. We are really glad for selecting Todd as our agent and we highly recommend him for either selling your home or for buying a new home. If you want a high energy, extremely competent agent that will market your home in the most advantageous manner, Todd Ostrander is your man! Still can't believe all the energy he puts into marketing your home and also in such a professional manner. From your initial meeting, when Todd explains all the aspects of listing your home.....to the final listing with spectacular visual aids.....you know you have chosen wisely!! The effort it took by so many to get us where we live today is really a miracle and Todd has been a big part of it! This past year has been a very difficult one, more then we could have ever imagined. The months leading up to putting our house on the market were extremely stressful. My husband had a major heart attack the beginning of July. The Doctors called it the widow maker! My husband spent all of July and August in the hospital and then rehabilitation. Once rehabilitation was completed, we knew it was a matter of time; he would be going in for a pacemaker/defibrillator. Now, we really felt trapped with the extensive mortgage payments and trying to live on just Social Security, no longer having my husband's weekly paychecks. 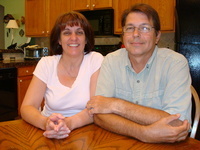 The decision to sell was not an easy one, because we had originally built and loved our home for over seventeen years. Of course we thought it was worth the “stars and moon”! 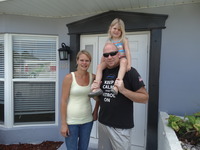 Using Todd’s guidance, his knowledge, we listened and priced our home correctly. He prepared an aggressive marketing plan and was very detail oriented about executing it. Many people do not understand the amount of hours that goes into taking the right photo’s, designing and formatting the layouts, the slide shows and websites. We believe the visual aids he chose so wisely, the guidance in helping us price our home correctly, all of this and a little help from above is why our home sold in “1” day! What we appreciated was Todd’s dedication. Once our house was sold he didn’t walk away and wait for the closing. He made sure everything went smoothly. He always stayed cool, even when I would break down and cry! I had a lot on my plate! Worrying about my husband was first and foremost. I couldn’t worry about the house. Todd said, let him worry about that and he kept his word! Our Journey was far from over. Now came the harder part, looking for a new “forever” home. We found a house in the community we really loved! The transaction from start to finish did not go smoothly but Todd never rested! We are so grateful for all of his help. Be assured that we have recommended Todd to everyone we know. We tell them all: if you’re thinking about selling, buying or just looking, Todd is the person you want to represent you! He is a hard working agent with integrity. He not only loves his job but cares about his clients. He becomes a friend in the end! With Todd’s hard work, persistence and patience, we are now living in a retirement community. Living in our little dream home, mortgage free and extremely “HAPPY”! We are here in town now.....We love the Buccaneer condo you sold us and the area too. We have been here for a week getting situated. You were right....the views are Fantastic! I am going to bring furnishings from the cabin in Georgia when we come back down in September. Meanwhile, we are really enjoying the walks on the beach! Thank you very much for all of your help and expertise in acquiring this extra special condo. You are certainly the best, most knowledgeable agent we have ever dealt with.